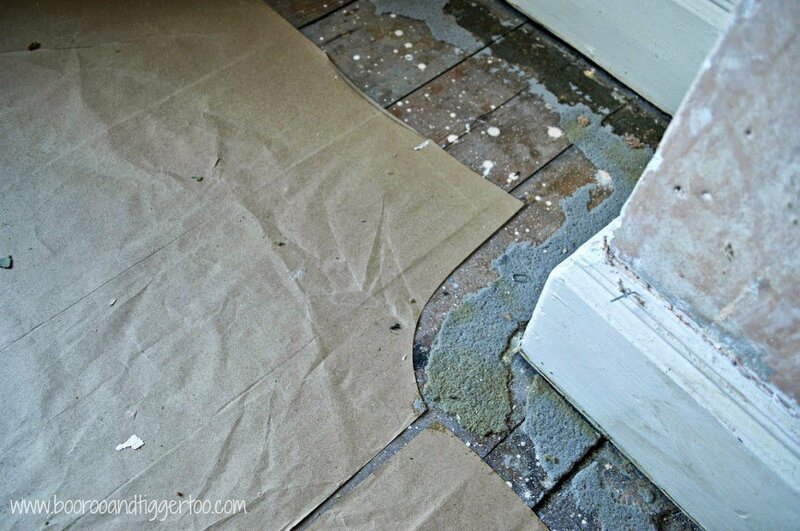 Bye Bye Floorboards! 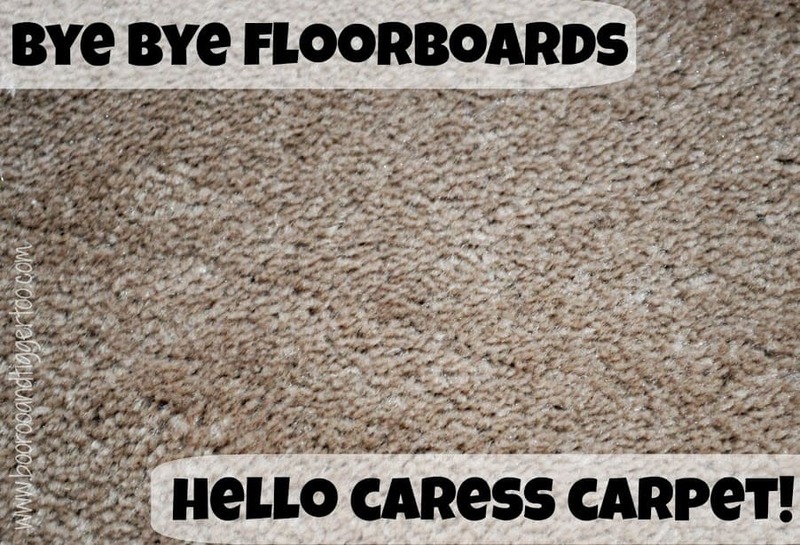 Hello Caress Carpet! Today I finally managed to say Bye Bye Floorboards! and a big Hello Caress Carpet! Needing to order new carpets Mr Boo and I headed over to our local Carpetright one Sunday afternoon. I’d already done some research on their website as to which carpets I wanted to look at and most importantly feel. I don’t know about you but walking into a carpet store feels quite daunting to me. I always feel overwhelmed by the choice available. As we didn’t need our carpet for a few weeks I was able to look at both the selection of ‘order in’ carpets as well as ‘off the roll’. 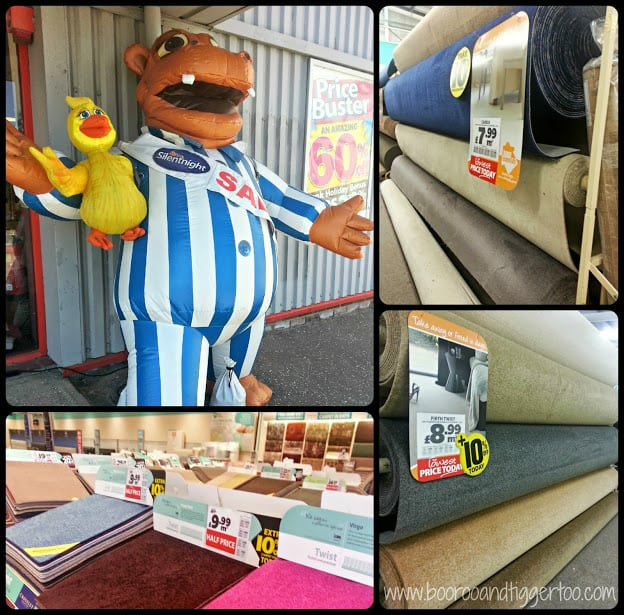 Being Bank Holiday weekend there was some great offers available with some carpets at better than half price, this meant we were able to look at carpets that might have previously been out of our price range. After walking around the store and feeling several of the carpets I opted for the first carpet I had looked at online. The Caress offered that soft sink in feeling under foot as well as being hard wearing for a family. Be seduced by Carpetright’s soft and smooth Saxony carpet. It’s 100% polypropylene fibres mean that it’s stain resistant and the practical choice for a busy home. Use this beige carpet in your lounge, dining room, hall, stairs, landing and bedroom and make this affordable deep pile luxury your new favourite floor. Whilst Mr Boo likes to do the odd bit of DIY, I do believe that there are some jobs that should be left for the professionals. Carpet fitting is one of the those jobs! Thankfully Carpetright are able to offer both delivery and fitting which meant we didn’t have to find another company to do this for us. 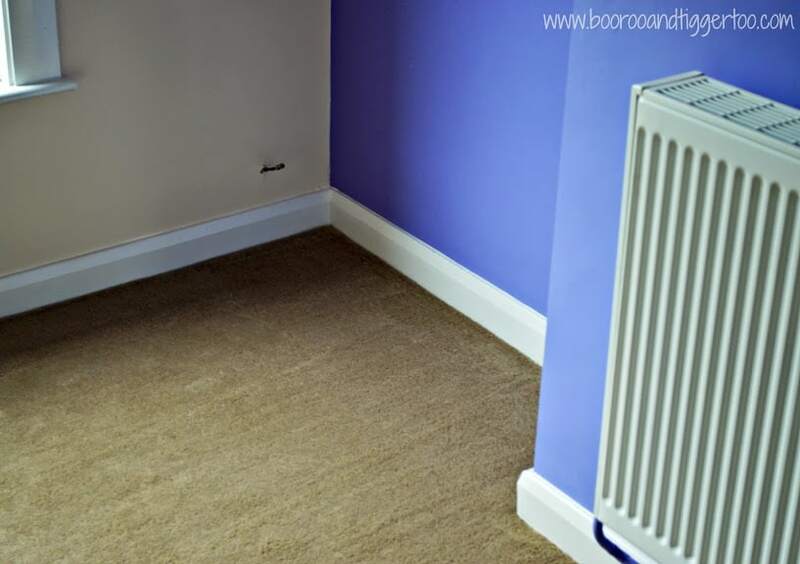 After ordering the carpet, underlay, gripper rods, delivery and fitting we were advised that we would get a call closer to our provisional fitting date to confirm everything. Last week I received that call and all was booked this morning at 9.30am. Two carpet fitters arrived just before my booked fitting time, so nice that they arrived early rather than late. I could hear the banging and clanging coming from upstairs but resisted the urge to go and peek until the carpet fitters and finished. 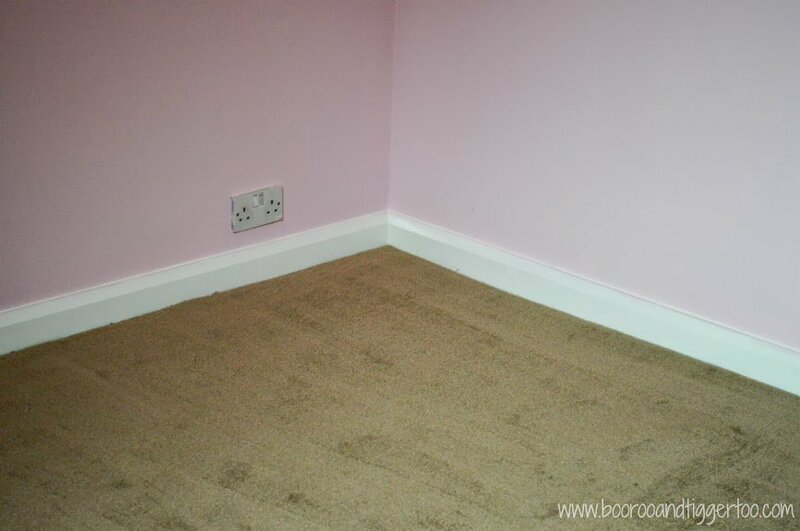 With the carpets fitted the rooms look and feel so much warmer, homely and ready to be made into slumber chambers. My only disappointment with the fitting service is that they leave they rubbish, carpet excess behind. This meant that Mr Boo needed to do a trip to the skips to clear the rooms ready for the furniture to be put back into place. 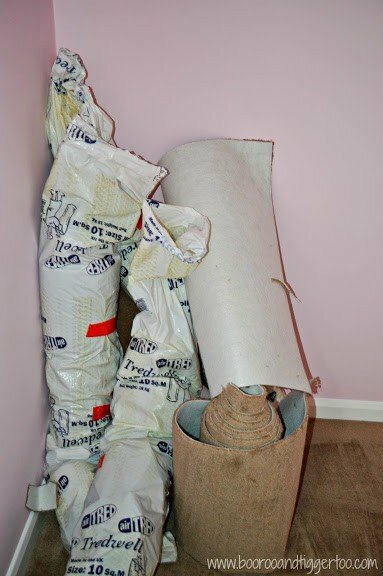 Disclosure Policy: I received Tred Air Underlay FOC for highlighting the need for underlay in a previous post. Previous Post: « Do you remember you first house?